Shoshana Levy Kampos survived the July 1946 attack by an armed Jewish group on the British HQ in Palestine that left 91 dead. 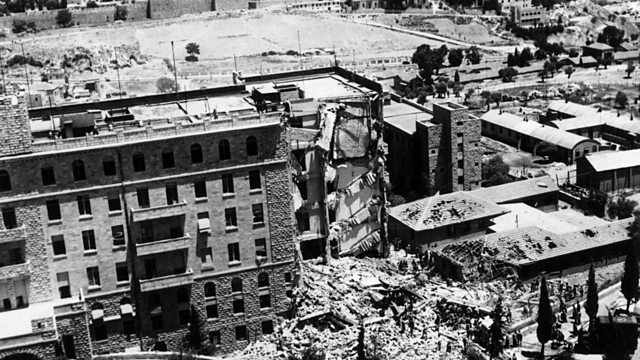 On July 22 1946 an armed Jewish group opposed to British rule in Palestine, attacked the iconic hotel in Jerusalem where the British had their headquarters. 91 people were killed in the bombing, dozens of others were injured. Shoshana Levy Kampos was a 21-year-old Jewish woman who worked for the British as a secretary. She tells Mike Lanchin about her lucky escape.